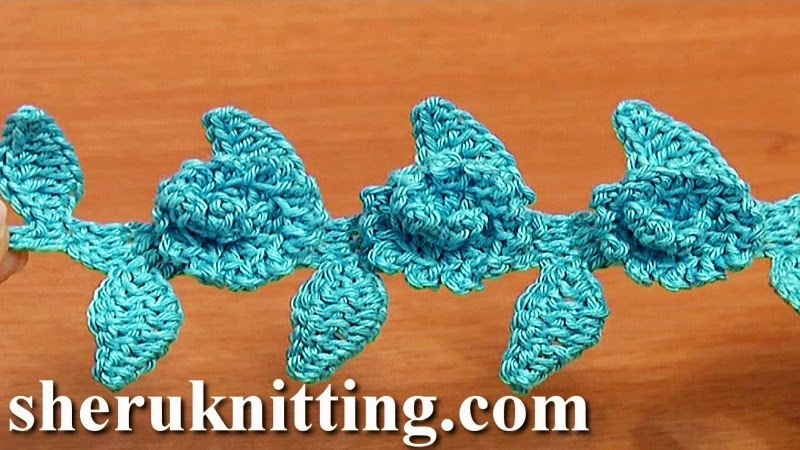 Free tutorial for crochet cords, ribbons, lace, easy to follow video for crochet cord with flowers and leaves, crochet floral cord, crochet spiral flowers, crochet twig. With this crochet tutorial you will learn how to crochet a floral cord in one go technique, which makes a flat cord made of double crochet stitches, leaves that are on both side to the cord (to the right and to the left) and on the front along the cord there are cute little flowers made of spirals. Fun to crochet and really beautiful! Enjoy!